Follow the winding path through our beautiful bluebell woods to a magical clearing. 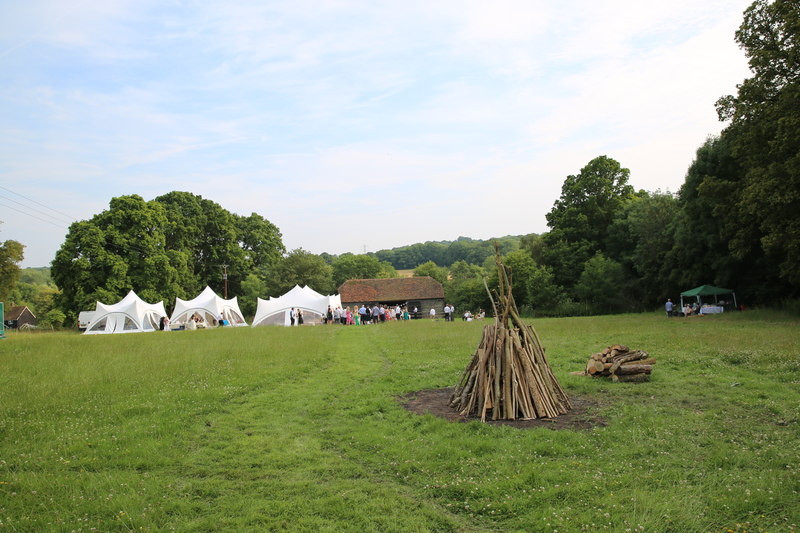 Here you will find a unique licensed woodland venue which offers an idyllic setting to marry in the open air surrounded by nature. 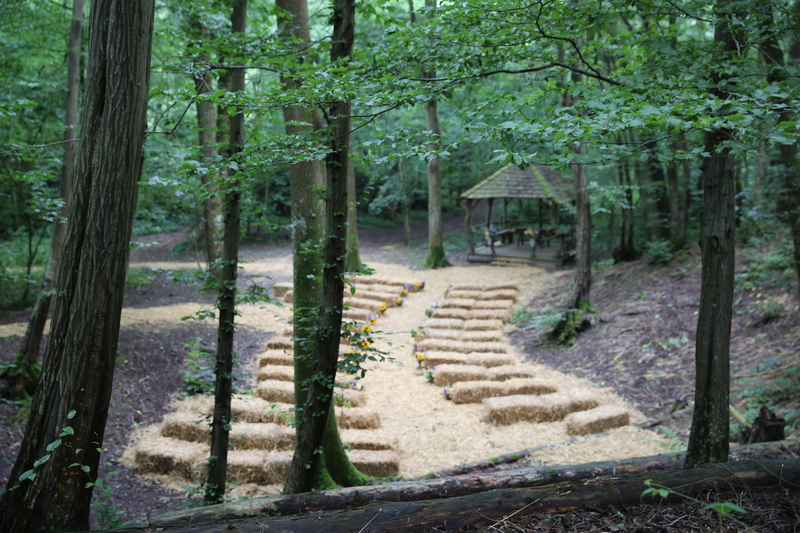 The woods at The Paper Mill is a licensed wedding venue. The traditional old Kentish Hay barn dates back to the 1800's. Pure white doves flit in and out of the dove cot above and the barn retains it's original character and charm. With views over the meadows beyond, this is a special location to hold your ceremony or reception celebrations. The barn is also licensed for weddings. 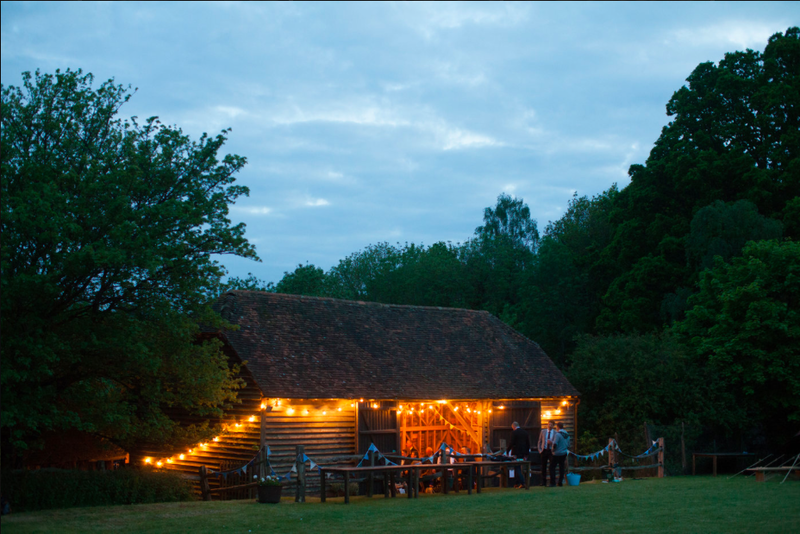 The Barn looks out over a beautiful english meadow, an ideal spot for any wedding celebration. A levelled area provides the perfect spot for a marquee and our mown footpaths through the wild flowers and grasses can lead to your secluded bridal tent. A central bonfire clearing provides the perfect way to wind down at the end of the evening.